Today, in the Adoration in St. Peter's, the Pope said in his prayer that we should know and appreciate and remember the "benefits of redemption". I have been pondering that term today and think that these points can be made regarding the benefits of redemption. We, as baptized Catholics, are redeemed. We have been brought into a relationship with the Trinity and rejoice in that relationship. We are called, in our baptismal vows, to feed the virtues and grow in holiness. This is our call , our vocation as Christians. The Pope has reminded us today, in his prayer to Jesus, the Eucharistic Heart of Jesus, that we must love those benefits given to us through Our Lord's Passion, Death, and Resurrection. 1) Freedom to be children of God and to be the persons God created us to be. 2) The Sacraments, which give us life, the life of God, and the life of God Himself, sanctifying grace. 3) The Church, as an institution, in which is our salvation, teaching and safety. 4) Community as God's People are the sign of the Presence of Christ-"See how they love one another." Beautiful. I am sure the Dear Lord, Who loves us with an everlasting love, was pleased with the millions of prayers of love around the world today. The results for us should be life-changing. The grace conferred by the sacrament of Confirmation is more specifically a gift of strength. The Council says that through "the sacrament of Confirmation...the Holy Spirit endows them [the baptized] with special strength" (LG 11). This gift corresponds to the need for greater zeal in facing the "spiritual battle" of faith and charity  , in order to resist temptation and give to the world the witness of Christian word and deed with courage, fervor and perseverance. In the sacrament, the Holy Spirit confers this zeal. Jesus noted the danger of being ashamed to profess the faith: "Whoever is ashamed of me and of my words, the Son of Man will be ashamed of when he comes in his glory and in the glory of the Father and of the holy angels" (Lk 9:26; cf. Mk 8:38). Being ashamed of Christ is often expressed in those forms of "human respect" by which one hides one's own faith and agrees to compromises which are unacceptable for someone who wants to be Christ's true disciple. How many people, even Christians, make compromises today! Through the sacrament of Confirmation, the Holy Spirit fills the individual with the courage to profess his faith in Christ. According to the Council text which we began with, professing this faith means "to spread the faith by word and deed" as consistent and faithful witnesses. Since the Middle Ages, theology, which developed in a context of generous commitment of "spiritual combat" for Christ, has not hesitated to highlight the strength given by Confirmation to Christians who are called "to serve as soldiers for God." Theology continues to see in this sacrament the value of sacrifice and consecration which is included in its origin from the "fullness of Christ's grace" (cf. Summa Theol., III. q. 72, a. 1, ad 4). 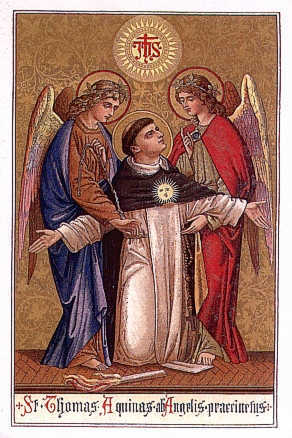 St. Thomas Aquinas explains the fact that Confirmation is distinguished from Baptism and comes after: "The sacrament of Confirmation is, as it were, the final completion of the sacrament of Baptism, in the sense that by Baptism (according to St. Paul) the Christian is built up into a spiritual dwelling (cf. 1 Cor 3:9), and is written like a spiritual letter (cf. 2 Cor 3:2-3); whereas by the sacrament of Confirmation, like a house already built, he is consecrated as a temple of the Holy Spirit, and as a letter already written, is signed with the sign of the cross" (Summa Theol., III, q. 72, a. 11). As we know, there are pastoral problems regarding Confirmation, especially concerning the appropriate age for receiving this sacrament. There has been a recent tendency to delay the time of conferral until the age of fifteen to eighteen, so that the recipient's personality may be more mature and he can consciously make a more serious and stable commitment to Christian life and witness. Others prefer a younger age. In any case, there must be hope that there will be a thorough preparation for this sacrament, which will allow those who receive it to renew their baptismal promises with full awareness of the gifts they are receiving and the obligations they are assuming. 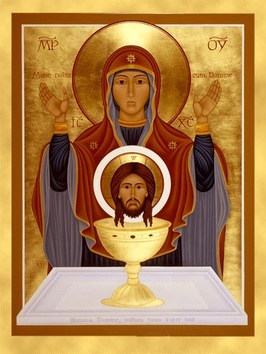 Without a long and serious preparation, they run the risk of reducing the sacrament to a mere formality or external ritual, or even losing sight of the essential sacramental aspect by insisting exclusively on the moral commitment involved. Five meetings do not fall under the category of "long". Can I blame Walt Disney and Tinker Bell? Can I try and find a pattern as to why so many men and women in their 70s on down do not understand the theology of the sacraments? Magical thinking seems to be the most common problem I constantly meet with Catholics regarding Baptism, Confirmation and the Last Rites. Serious problems exist because many Catholics do not understand that the sacraments bring responsibility and must be met with responsibility. Magical thinking is indicated by people who think that baptism of infants whose parents are either atheists, (a priest told me today that many priest baptize infants of practicing atheists and a priest in Walsingham a few years ago baptized anyone's children without preparation of any kind), or non-practicing Catholics. This is against the Canons, but indicates a lack of understanding on the part of the priests and the parents. Why would atheists, who have no intention of raising their children Catholic, desire baptism? Why would fallen away Catholics seek baptism for their children, when there is no demand that they come back into the Church or take classes? Why do priests baptize infants and children of pagans, who will not raise their children in the Faith? I now know several priests in different dioceses who know the Canons and ignore these. Why? Is this taught in the seminaries? Are bishops aware that this goes on in their dioceses? Baptism takes away Original Sin and gives sanctifying grace. It makes a child an adopted child of God, and a member of the Catholic Church. Magical thinking states that baptism saves a person once and for all-the fundamental option. Magical thinking supposes the person stays in sanctifying grace without the sacraments or training to be a Catholic. Why are priests baptizing babies of couples they will never see in Church again, thus putting that couple into the position breaking promises to raise the child Catholic? Why are priests not asking parents to raise the child Catholic? Magical thinking is protestant. My attempting to talk with a few priests on this subject caused me not to be hired as a catechist in their parishes. The same magical thinking applies to Confirmation, when priests confirm young people who are not going to Mass on Sunday and are contracepting. 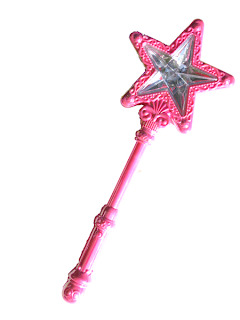 Magical thinking also effects many people who read the mystics and think that the writings are infallible. I have written on this. Not all the writings of those who have received personal, even approved, visions, are infallible and to believe such is magical thinking. For example, only the Church can grant indulgences, not mystics. The Church may take blessings promised from God and make these promises into a set of indulgences-such as the Divine Mercy novena and Divine Mercy Sunday guidelines for the indulgence. But, not all things in St. Faustina's writings have been given indulgences. Magical thinking wishes that people are saved without their free will being involved. Magical thinking denies free will. We choose God and good. We have a lifetime to do this. We must respond to grace and work for our salvation in fear and trembling, states St. Paul. Sanctifying grace is not a permanent state, nor is it once and for all, as many protestants believe. It can be lost and in the case of mortal sin. We are deprived of sanctifying grace by the sin of Adam and Eve, and we must, therefore, be baptized. But we can lose that state of grace and those who no longer go to Sunday Mass, or abort, or contracept, or are in irregular marriages, have not only removed themselves from sanctifying grace, but from the community of God, the Church. Anything less is magical thinking. Here is the CCC again. 1257 The Lord himself affirms that Baptism is necessary for salvation.60 He also commands his disciples to proclaim the Gospel to all nations and to baptize them.61Baptism is necessary for salvation for those to whom the Gospel has been proclaimed and who have had the possibility of asking for this sacrament.62 The Church does not know of any means other than Baptism that assures entry into eternal beatitude; this is why she takes care not to neglect the mission she has received from the Lord to see that all who can be baptized are "reborn of water and the Spirit." God has bound salvation to the sacrament of Baptism, but he himself is not bound by his sacraments. 1260 "Since Christ died for all, and since all men are in fact called to one and the same destiny, which is divine, we must hold that the Holy Spirit offers to all the possibility of being made partakers, in a way known to God, of the Paschal mystery. "63 Every man who is ignorant of the Gospel of Christ and of his Church, but seeks the truth and does the will of God in accordance with his understanding of it, can be saved. It may be supposed that such persons would have desired Baptism explicitly if they had known its necessity. 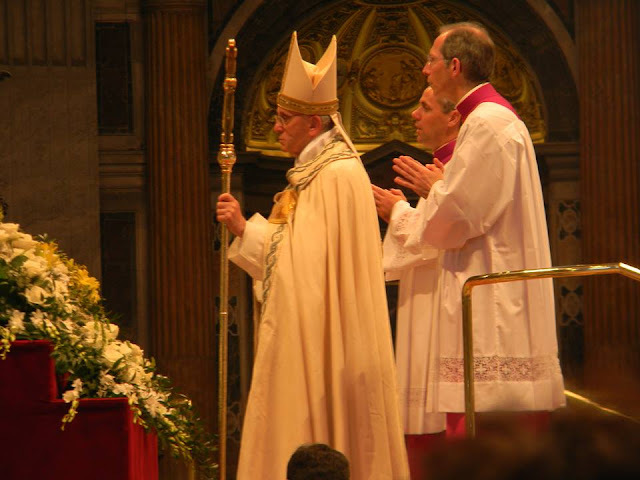 some people have been led to believe by some religious leaders, lay and priests, that people can be saved by certain prayers of others outside of the indulgences granted by the Vatican. Again, this is magical thinking. Faith allows us to pray for the dead and have Masses said for the dead. But, plenary indulgences are for the souls in purgatory, and may be prayed for those who have died outside the Church, but these indulgences are not prayers outside the merit of the entire Catholic Church. Quite the contrary. The Church passes the merit onto those people. Prayers which are not given approval by the Church cannot provide a living person with a magical assurance that someone is in heaven. We are called to evangelize and no amount of magical thinking can substitute for spreading the Gospel. I am skipping the chapter in Garrigou-Lagrange on visions, as it is self-explanatory and easy to read. One finds it here. I want to move on to the emphasis on the purification of the intellect and imagination, which follows the purification of the passions and emotions. I cannot say enough times that these gifts only come after great pain for most people and the complete death of self-will. If one has not experienced the second conversion, in which the will dies and only God's Will is desire, the gifts will not be given. Only a clear pipe can carry clean water. Supernatural words are manifestations of God's thought which are heard either by the exterior senses or by the interior senses or immediately by the intellect. 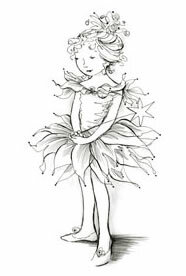 An auricular supernatural word is a vibration formed in the air by the ministry of angels. For example, St. Luke records (1) that Zachary heard the angel Gabriel speak to him. The same angel Gabriel said to Mary: "Hail, full of grace." (2) Like corporal visions, these locutions are subject to illusions; the same rules should be applied to them to discern those of divine origin. Imaginary supernatural words are heard by the imagination, when the person is either awake or asleep. They sometimes seem to come from heaven; at other times from the depths of one's heart. They are perfectly distinct, although not heard with bodily ears. (3) They are not easily forgotten; those especially which contain a prophecy remain graven on the memory. (4) To recover the exact statement of the words heard, it is sometimes necessary that the person who has heard them should recollect himself and make mental prayer; in this way he can avert the slightest variation. G-L presupposes that the person is already in the Illuminative, if not the Unitive State, as Mary Our Mother was. Obviously, one needs a spiritual director at this stage. Correction is easily discerned. Some people have experienced a similar experience such as the particular judgement, wherein their sins were shown for the horror they are. However, the fruit, that is, repentance and change, validate the interior words heard. When imaginary words come from the devil, they not only do not produce good effects, but, on the contrary, produce evil effects. The soul is disturbed, troubled, frightened, disgusted; and if it experiences any sensible pleasure, it is very different from divine peace. (7) These diabolical words resemble supernatural words of divine origin as glass beads resemble diamonds. It is often easy to perceive the difference immediately. Without purification first, one is not capable of discerning the self from God, or the evil one from God. One does not ask for these graces. One does not ask for words of knowledge. And, if you know people who do this in ministries, please beware. Theologians teach, with St. John of the Cross, that intellectual words may be either successive, formal, or substantia1. (10) We shall recapitulate their teaching here. I repeat this...., if you are involved in groups which claim to be getting so-called words of knowledge without this discipline and complete orthodoxy, beware. In addition, these words come through intense prayer and recollection. I am convinced that the great heretics, like Calvin and Luther were at advanced stages of holiness when spiritual pride took over. Satan was able to lead them astray from what could have originally been valid views to heresies. Desire simple faith, not these gifts. Also, if someone is charging for such knowledge, you can be sure these people are not from God. Nevertheless his artifices may be taken for words of God, by confounding what immediately touches the intellect with what takes place in the imagination. "Consequently," says St. John of the Cross,(20) "what they say should not be immediately translated into action, nor should they be held in esteem no matter what their origin. It is indispensable to make them known to an experienced confessor or to a discreet and learned person. . . . If an experienced person is not to be found, the soul should keep whatever is substantial and sure in these words; disregard the rest; and speak of it to no one, lest a counselor be found who would do the soul more harm than good. The soul should not place itself at the mercy of anyone at all, for it is of prime importance whether one acts judiciously or is deceived in such matters." How many false seers there are in the world right now--many. These people seek out directors who agree with them and sometimes those who are not in perfect orthodoxy. Many are deceived by priests who support false prophets. Even among the saints, this efficacious word can be rare. God does all the work and the person receiving such words, in a sense, is the passive witness of the Almighty Word of God in the soul. Impatience is not a sign of this level of holiness, but a sin and imperfection of the passive purgation. "Why this waste?" Find me, Oh Christ. There is so much suffering in this world. The only way to understand it is to keep one's eyes on Christ. He took all this suffering into His Own Being, Body and Soul. He offers us His Heart for our puny, little hearts; hearts which not only do not understand, but run away from suffering. When times are very difficult, run to join Him on the road to Calvary. This is our own real consolation if we agree to cooperate with the graces of purification. If we love someone, do we not want to be with that person, no matter what? I do. If we complain, or try to run away from the suffering, we may leave the road of perfection and incur the penalty of purgatory. Worse, we may even leave His way entirely. Accept the suffering which is given. It is given in love. Only love answers the question of "Why this waste?" Mother General reminded me the last time I saw her that all Catholics are called to have an intimate relationship with Christ. We are called to enter into the mystery of Love. We move, as I have noted before, using St. Bernard of Clairvaux, from children of a loving Father, to students of the Master and, finally, lovers of the Bridegroom. He seeks us. We need to let Him find us. 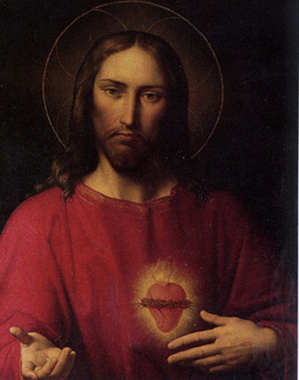 Take the Heart of Jesus which He offers you today, in the Eucharistic Heart of Jesus. So much to do and so little time in which to do it. Bread of Life by bread concealed, speaking heart to heart. Let your presence draw me in where my senses fail. Seeing, touching, tasting, fail to grasp you, Lord. Hearing only stirs up faith; faith clings to your word. This is truth enough for me: all that you have said. Faith alone discerns your Face, radiant Living Bread. Here your flesh and blood are hid, veiled in sacred signs. I confess you, God and Man; this is my belief. I see not but name you still God and Prince of Life. Bolder make my hope in you, fire me with Love’s flame. Wonderful memorial of the Crucified! 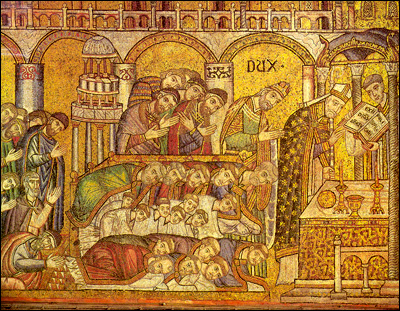 Sacred Banquet, Bread from heav’n, Wellspring gushing light! Be to me the sweetness I was meant to find. In the wounded Pelican, faith sees something more. Though a single drop makes pure those drawn to your side. How I thirst to meet your gaze gloriously revealed! Beauty shining from your Face for eternity. Amen.